Optimum Security offers comprehensive loss prevention, security, and surveillance services to homeowners, organizations and businesses throughout Chilliwack. As one of the fastest-growing security companies in Canada, we provide superior client services that you can count on. Our team of professional, uniformed security officers have exceptional risk assessment, communication, and decision making skills, and our guards all undergo extensive in-house training here at Optimum Security. Whether you are planning a corporate event, wedding, grad party, or golf tournament, we can keep you and your guests safe with our customized event protection services. We’ll work with you to develop a comprehensive security plan for your Chilliwack event to prevent entry by unwanted visitors and disruptions on your special day. 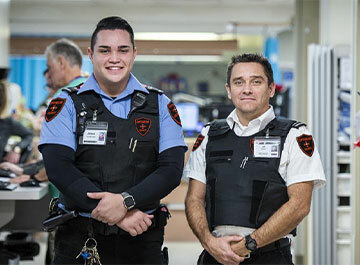 As the preferred provider of commercial security solutions in Chilliwack, we offer a full range of protection services for your business ranging from on-site uniformed security guards to mobile patrols and CCTV system installation and monitoring. Our security guards are fully trained in all aspects of asset protection, including loss prevention for retail stores, guarding of construction sites, and inspection of building perimeters, fencing, and common areas. We design, install, and monitor customize alarm systems for residential and commercial applications throughout Chilliwack. Our advanced residential alarms offer comprehensive protection for your property, including specialized devices to detect flooding, excess heat, and carbon dioxide. Optimum Security has an alarm monitoring team that is available 24 hours a day, 7 days a week to provide rapid response to any emergency at your home or business through our hands-free, two-way communication system. To learn more about how Optimum Security can protect you, your family and your assets in Chilliwack, BC, call us today at (604) 644-9229 for your complimentary security consultation.